I loved our first week in North Wales but we mainly visited the bigger seaside towns and more populated areas. 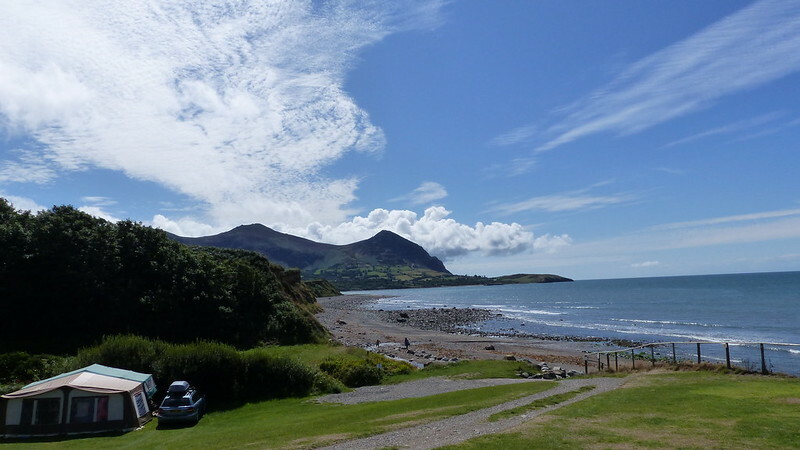 For our second week, we left Colwyn Bay and headed down to the Llyn Peninsula to explore the Area of Outstanding Natural Beauty which is relatively unspoilt with a laid-back feel. We based ourself at Aberafon campsite for a week and it was an ideal location to explore the coast and Snowdonia. This campsite is all about the views; it's nestled between the beach and the mountains around 10 miles away from Caernarfon. Be warned that if you are staying at Aberafon the access road is very steep and narrow, ideal for campervans and campers but a little tricky to navigate for caravanners like myself and Martyn. There is a field right next to the beach where you can pitch up, but there are lovely views wherever you are situated on the site. Facilities at this site are very basic with only 6 showers for the whole site but the location makes up for this and we really enjoyed our time here. I really did feel switched off from the outside world and would love to return. 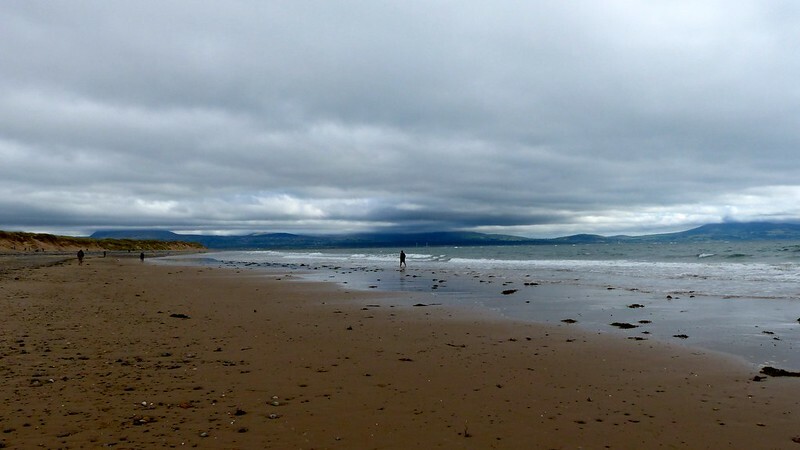 Wales has more Blue Flag beaches per mile than anywhere else in the UK and our favourite that we encountered on our trip was the one at Barmouth. Barmouth lies between a mountain range and the sea on the mouth of the river Mawddach. We loved visiting this town so much that we returned for a second time. There's plenty to explore with a pretty harbour, the spectacular Barmouth Bridge and the old town. The very impressive bridge is a Grade II listed single-track wooden railway viaduct across the River Mawddach. It is the longest timber viaduct in Wales and one of the oldest still in regular use in Britain. We spent our days there walking Coco along the beach and scoffing fish and chips from the Mermaid Fish Bar which I highly recommend. I've mentioned previously that both myself and my husband work in the railway industry. (You can read all my train related posts here) It was pretty inevitable that we would visit some of the heritage railways in operation in the north because there are so many to choose from. The original railway closed in 1936 but has been completely rebuilt and restored by volunteers. Originally the railway carried thousands of tons of slate but tourists have now replaced this precious cargo. 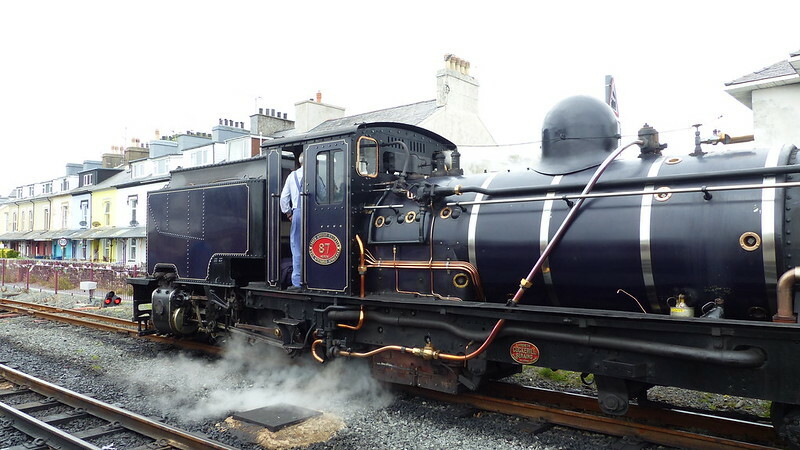 The railway starts in Caernarfon but we joined it in Porthmadog Harbour Station where the Welsh Highland Railway and the Ffestiniog Railway depart from. The Welsh Highland Railway is a great way to see the awe-inspiring scenery of the Snowdonia National Park. 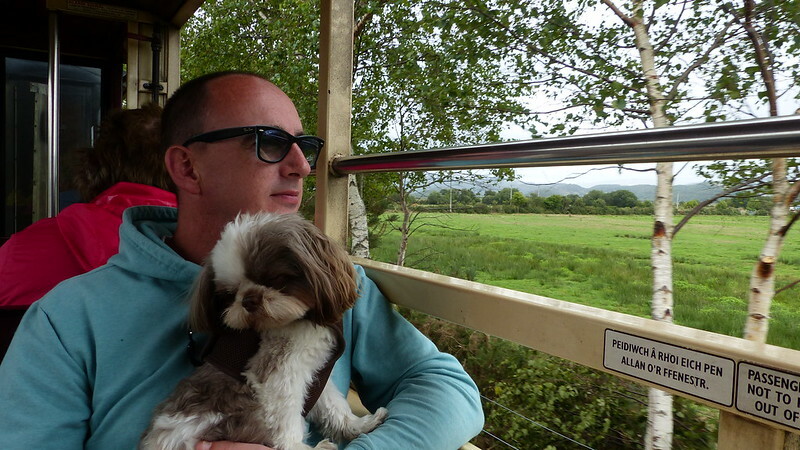 You can relax in one of the first class Pullman carriages or sit in one of the open ones like we did so Coco could pop his head out and feel the wind in his fur. I was so pleased to have packed my lovely yellow rain coat from Lighthouse because the day we decided to visit the Ffestiniog Railway it rained continuously all day. I couldn't get any photos that day so you'll have to take my word for it - it was stunning and featured an impressive waterfall. 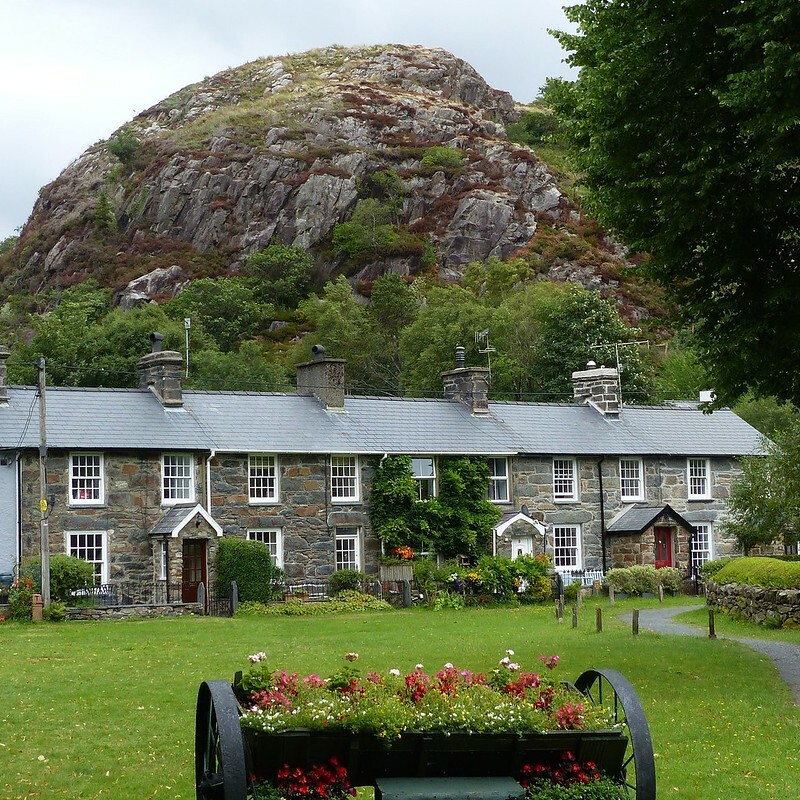 Beddgelert is a charming little town surrounded by mountains and is a base for many walking around Snowdonia. The town was beautifully festooned in flowers and is a great spot to stop off along the railway for a picnic. Beddgelert (Meaning the grave of Gelert) is known for the sad tale of Prince Llewelyn ap Iorwerth and his faithful dog. You can read more about Gelert here. If you want a heritage railway experience you won't get better than these. 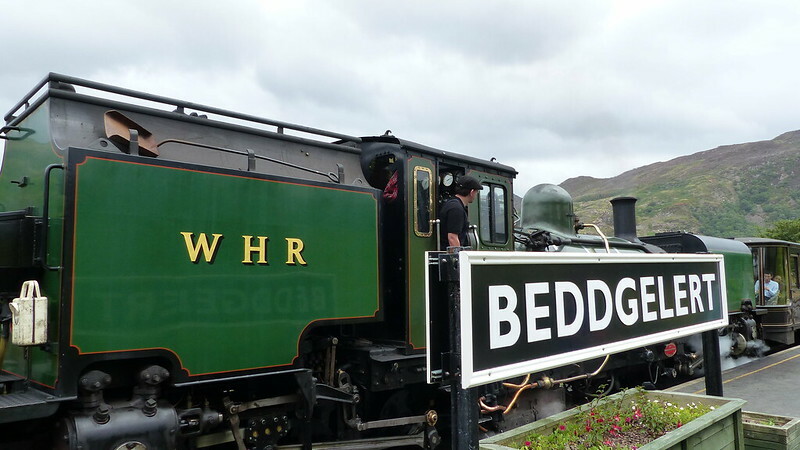 At 25 miles in length, the Welsh Highland Railway is the longest heritage railway in the UK and the 200 year old Ffestiniog Railway is the oldest operational narrow-gauge railway in the world. The main reasons we wanted to visit Llanberis was for the views and to take a trip on the Snowdon Mountain railway. 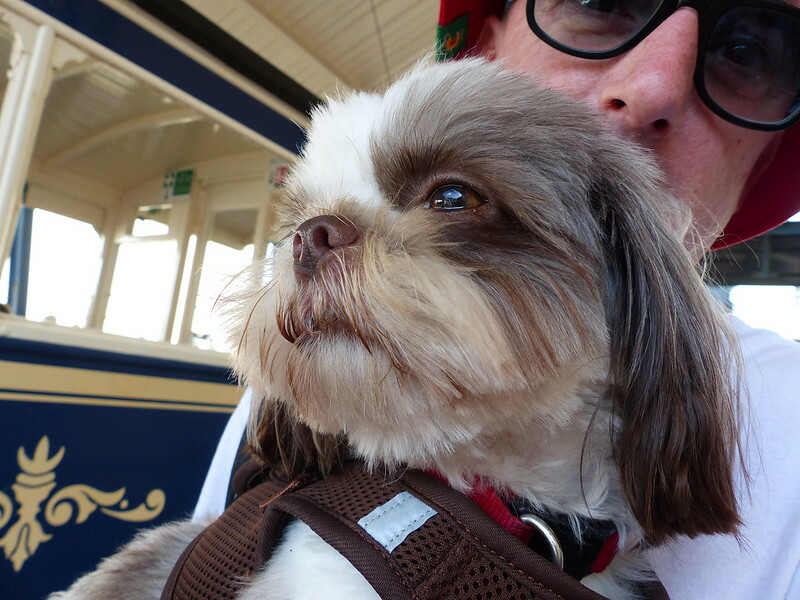 However, dogs are not permitted to travel on this railway (boo hoo!) so we took some time to wander around and get fish and chips (again). Definitely a destination I would love to visit again as many of the local points of interest and attractions were closed by the time we arrived. We really didn't think we would be lucky enough to see the South Stack lighthouse. Once we had reached Holyhead the whole island seemed to be covered in a thick, grey fog. We parked up near the South Stack Cliffs RSPB Centre and thought we would have a look around there but as we descended the steps to the lighthouse the fog lifted and we were treated to clear views of the lighthouse and coast. For a sheltered view on a rainy day, head to Twr Ellin which is equipped with binoculars, telescopes and a screen with a live feed from cameras out on the cliffs. The perfect place to spot some of the guillemots, puffins and razorbills the area is known for! 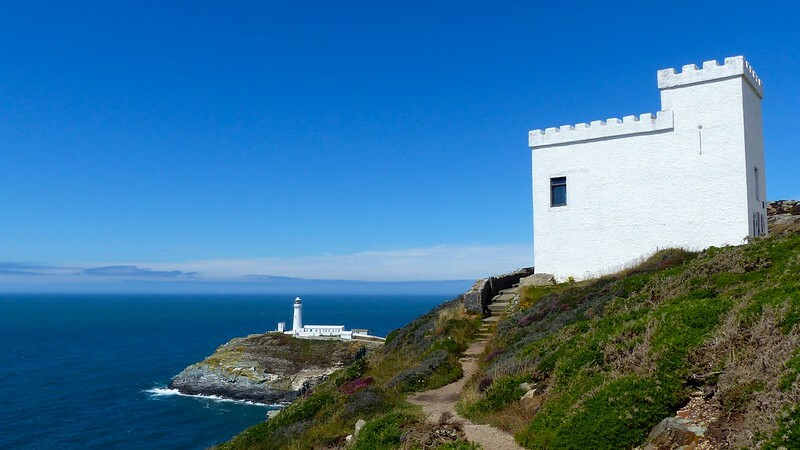 Newborough (also known as Llanddwyn) – is a large sandy beach with views of mountains and is surrounded by a pine forest with red squirrels and sand dunes, both of which are perfect for exploring. 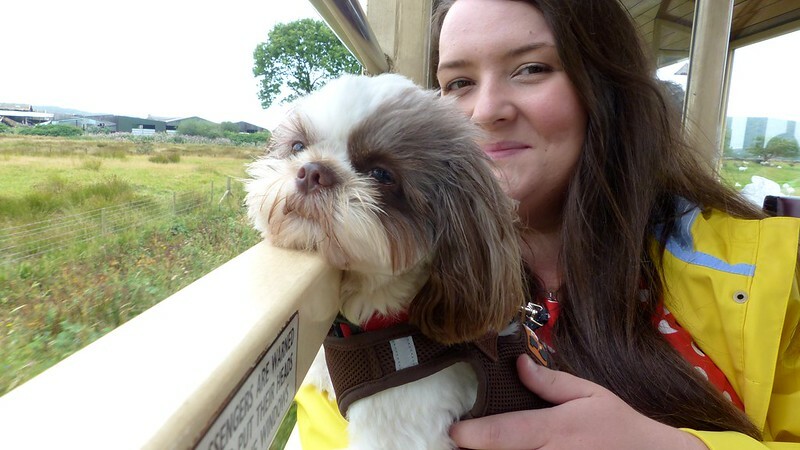 If you're travelling without a dog you can walk over to Ynys Landdwyn. 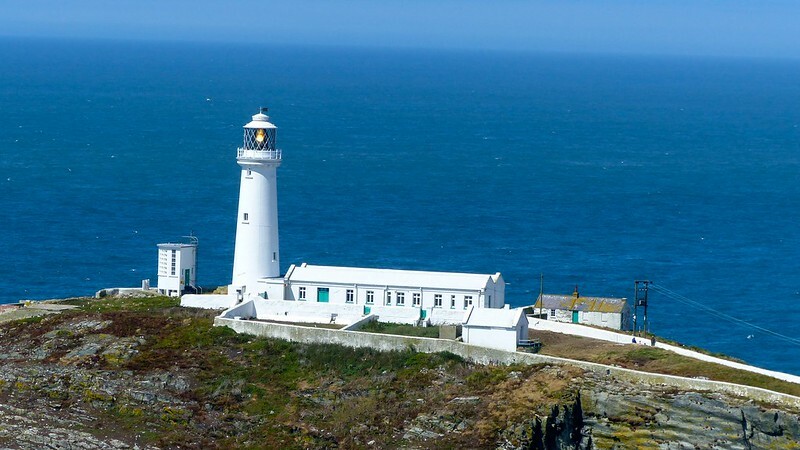 There is plenty to see over on the island including a lighthouse and an ancient churn dedicated to Saint Dwynwen. Saint Dwynwen is the patron saint of lovers of Wales and she established a religious enclosure on the island in the 5th century and the ruins can still be seen today. 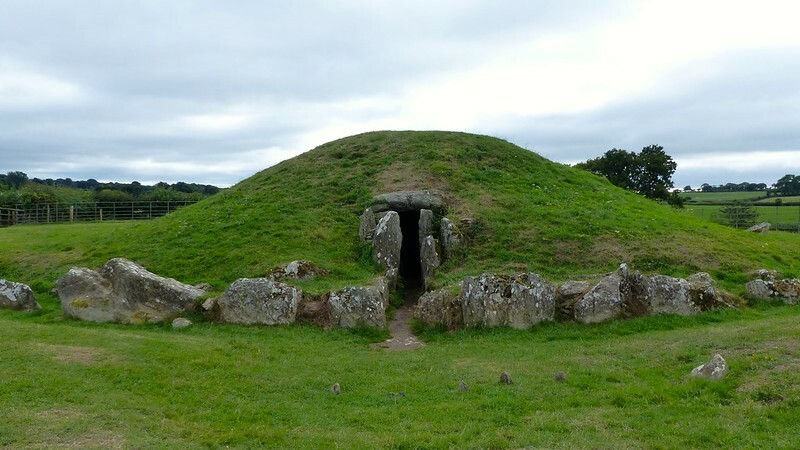 The last stop on our Anglesey tour was Bryn Celli Ddu. It's a Neolithic chambered tomb excavated in the 20s and was constructed to pay respect to the dead. The monument is believed to have first been a ‘henge’ or enclosure and was later made into a tomb or chamber. Human bones both burnt and unburnt have been found here along with a decorated stone. Amazingly the tomb is aligned to coincide with the rising sun on the longest day of the year. 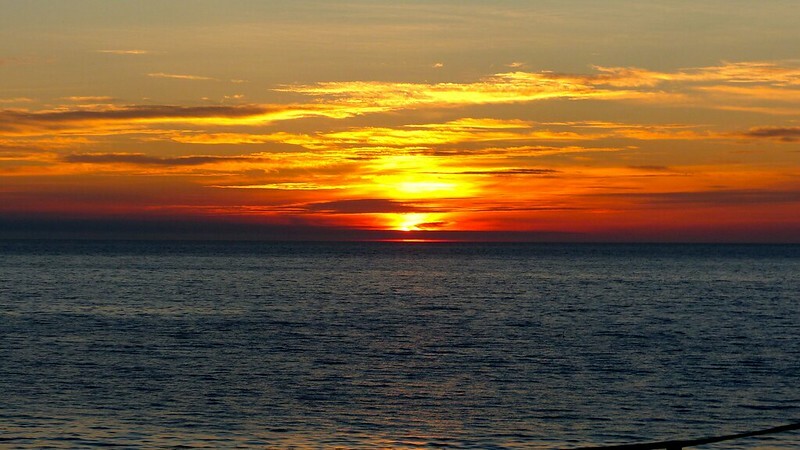 At dawn on the midsummer solstice, rays light from the rising sun light up the chamber. We spent our last evening at Morfa Nefyn and the nearby fishing hamlet of Porthdinllaen. 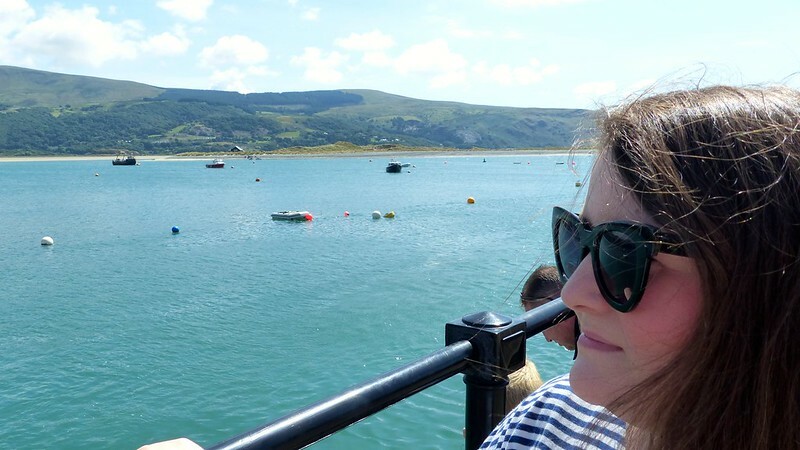 We enjoyed a pint at the Ty Coch, which was voted one of the top ten beach bars in the world. Only locals have vehicle access to Ty Coch so visitors must walk across the golf course on top of the headland to reach the pub. This area is really popular with water sports enthusiasts and is a great place to relax with a pint whilst looking out over the Irish Sea. 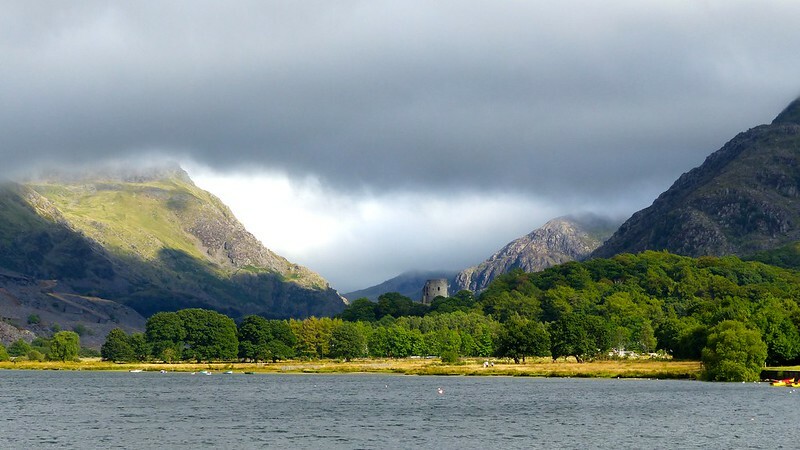 We had the most wonderful time in North Wales and even though we spent two weeks exploring the area there is so much we didn't have time to see and do. I know we will both definitely be returning here in the future. 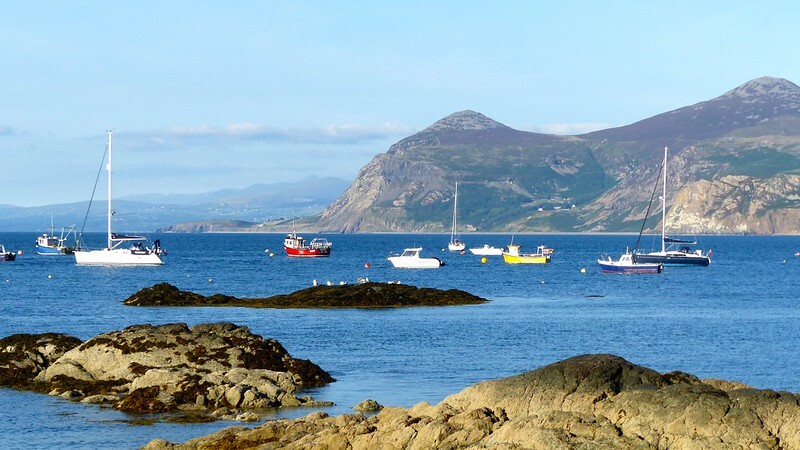 Criccieth, Abersoch and Pwllheli are all on the 'to visit' list for our next trip to North Wales. We are missing exploring the UK in the caravan so we are looking to book a weekend break in September for our first anniversary in Shrewsbury before we pack everything away for the winter. 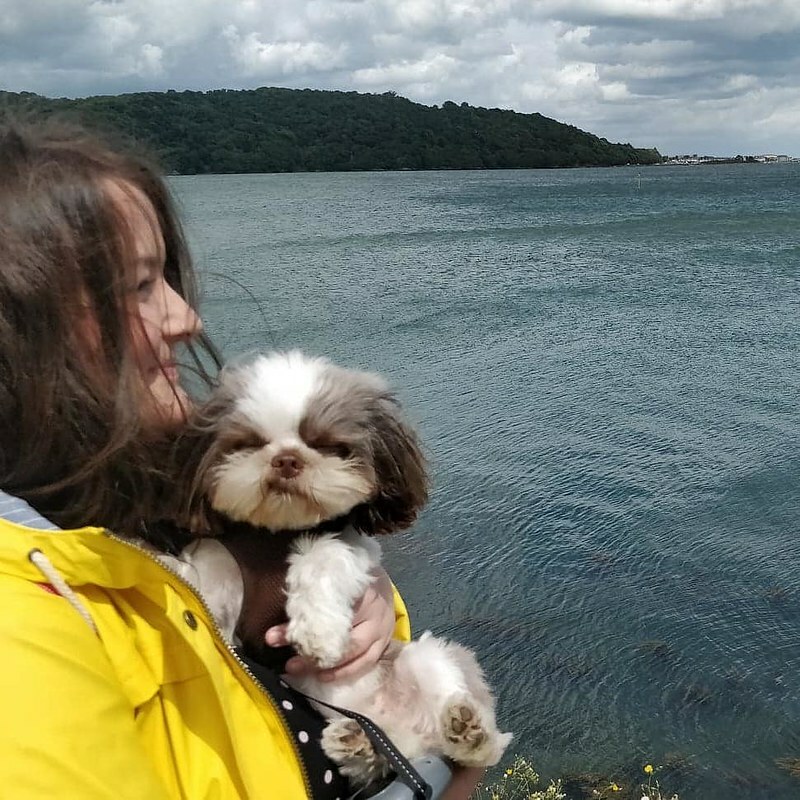 Even if you aren’t celebrating an anniversary or planning a family camping trip, I encourage you to find a cheap singles holiday to Wales because if this trip has taught me anything it’s that the world is just there to be explored! North Wales is a destination not be missed. We also have trip to Innsbruck booked for later in the year and the big Disney trip to Florida early next year, Lots to look forward too and plenty of travel posts! I've lived, worked and studied in South Wales all my life and to my shame, I had never been to North Wales until my recent trip. It took 30 years of my life to get north of Machynlleth and boy was I silly to leave it that long. 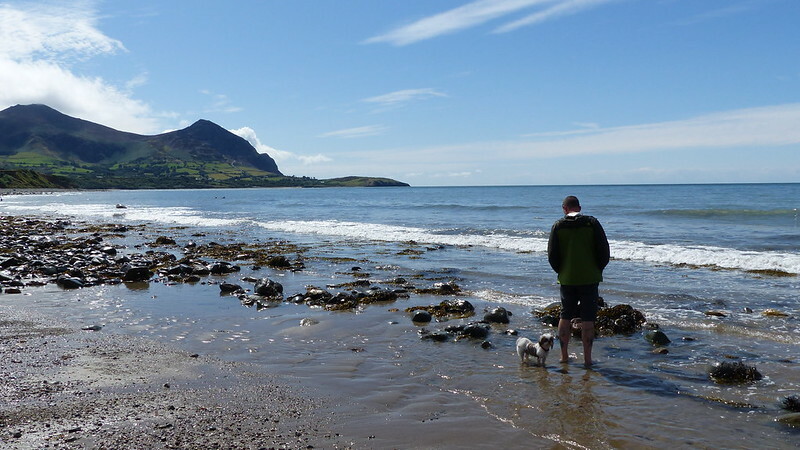 We based ourselves on the north coast for week one and on the Llyn Peninsula for week two to be able to take in as many of the sights as we could. Our home for week one was the Bron-Y-Wendon Touring Park just outside Colwyn Bay. This site was very well appointed with fully serviced pitches (electric hook up, fresh water and grey water disposal) and spotlessly clean shower facilities. We had fantastic sea views from our pitch and the campsite was very calm with only a few children around during the school holidays. The only negative was some noise from the A55 which ran close to the site. We were able to cram lots in to our first week and still have plenty of down time to relax in the caravan. We were not blessed with ideal weather, it was either roasting hot or misty and raining so all the pretty dresses and going out tops I packed weren't much use and I spent most of the time in leggings and a rain coat - who says caravanning isn't glamorous, ey? 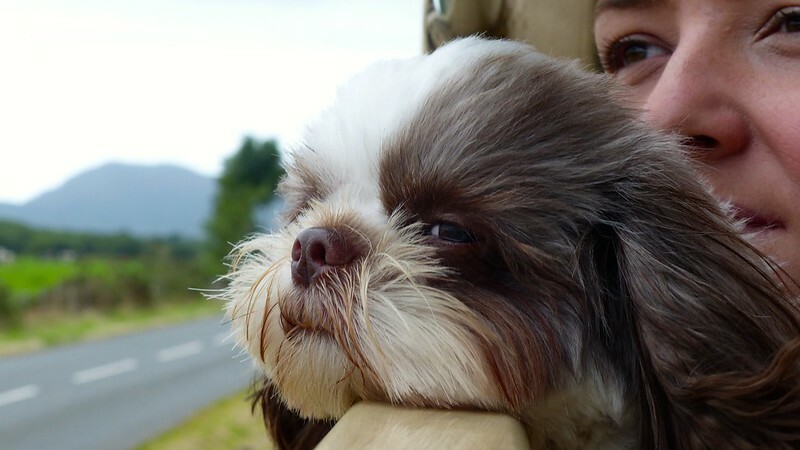 There are lots of destinations I didn't take photos of or that we only stopped off at briefly but I've tried to share the edited highlights below (I don't think you all need to see 400 photos, most of which are of my dog). Llandudno is a classic Victorian seaside town and is popular with visitors from nearby cities like Liverpool and Manchester. It is home to Wales’s longest pier, offers superb views and all the ice cream, dinky doughnuts and candy floss you can dream of. 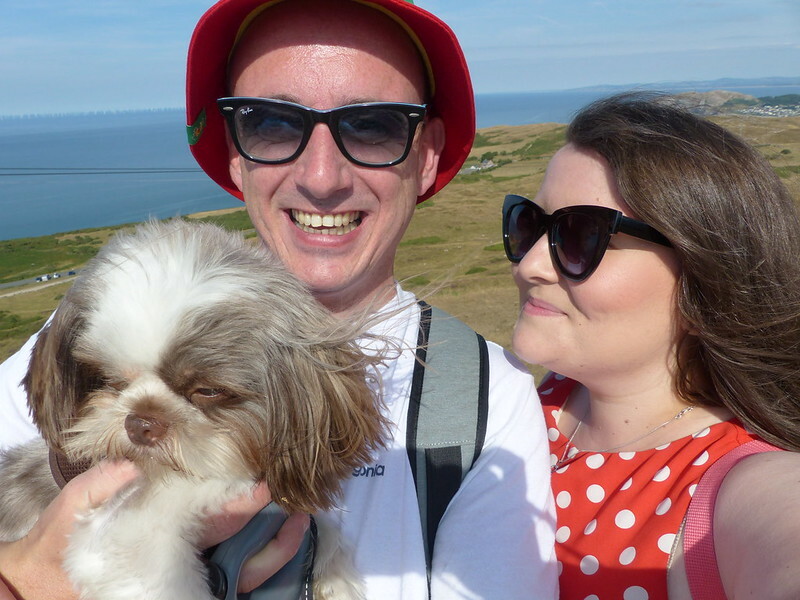 Once we walked along the pier and enjoyed a Punch and Judy show we headed up the Great Orme which rises 207 meters above the sea. The Orme is home to some interesting flora and fauna and the largest prehistoric copper mine in the world. The main reason that Martyn and I wanted to visit is because we are transport geeks and wanted to travel on the only cable hauled tramway in the UK. 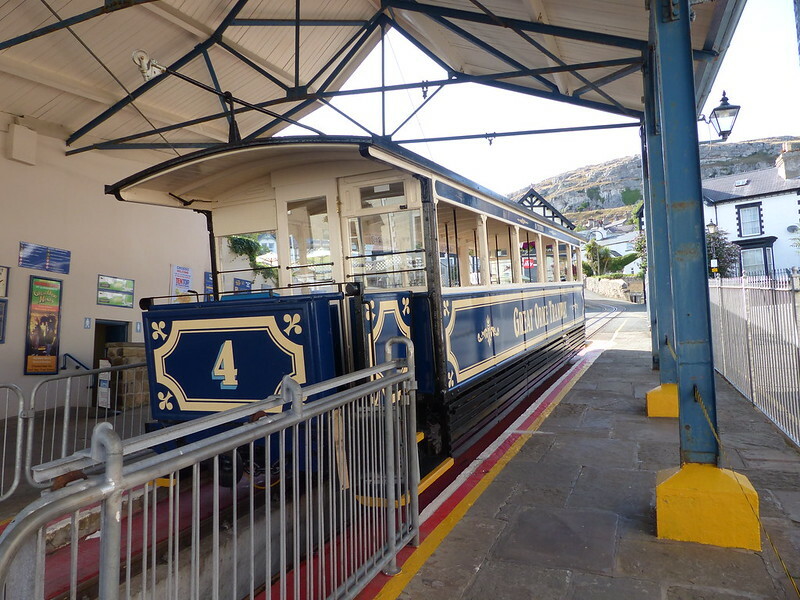 The Great Orme Tramway in Llandudno opened over a century ago in 1902. It's open everyday from late March to October with a adult return ticket currently priced at £8.10. At the halfway station you can learn all about the Tramway's history, before heading to the summit. 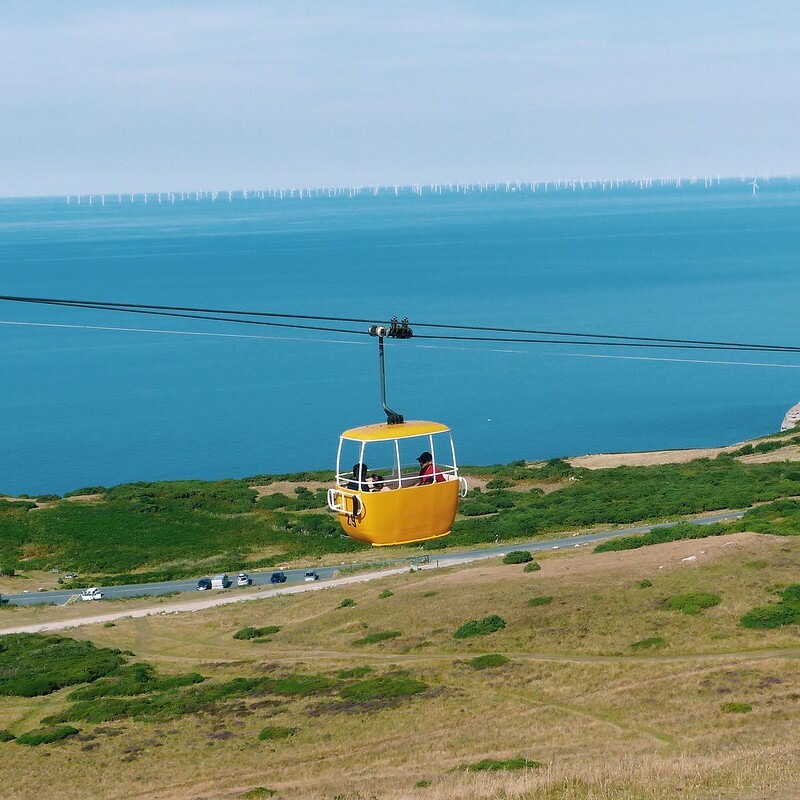 The views at the top of the Orme were simply stunning and are not to be missed if you are in the area. 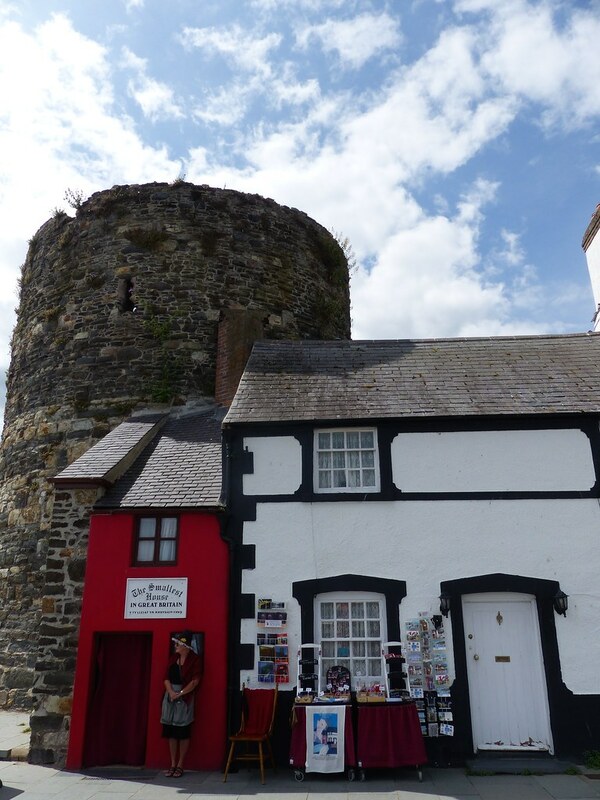 Conwy was such a charming walled town with an impressive castle. If the weather is good and you are travelling by train I recommend walking over or to Deganwy railway station for spectacular views of the castle and the surrounding area. 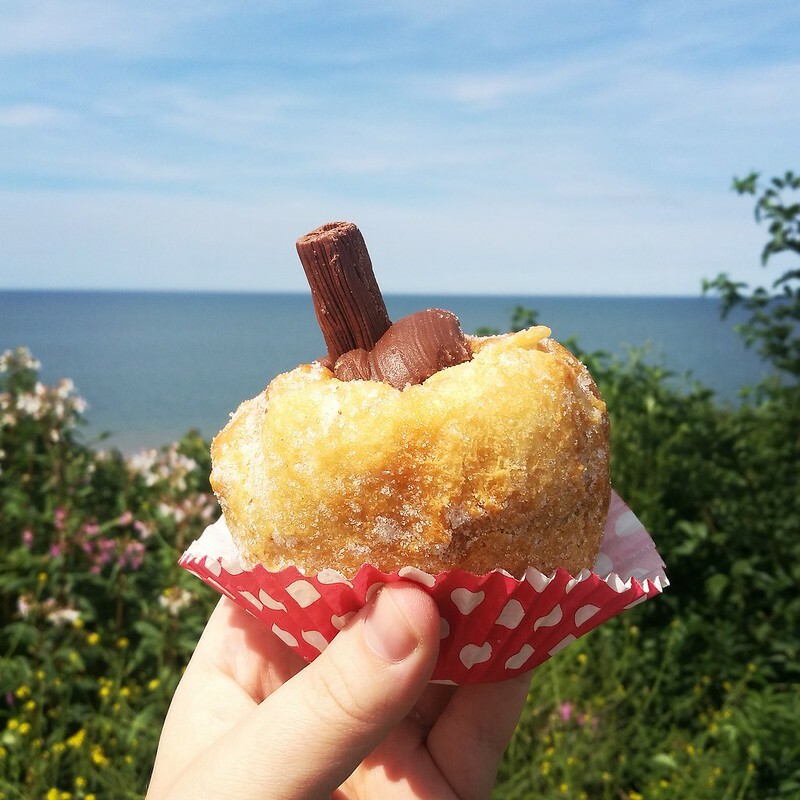 There are plenty of lovely shops where you can pick up some lovely Welsh produce and I highly recommend a pit stop at Parisella's of Conwy for some award winning ice cream (the salted caramel and raspberry ripple are divine) and Popty Conwy bakery for some affordable lunch options and a nutella stuffed doughnut of dreams pictured below. Don't miss a visit to the marina where you will find the smallest house in Great Britain. 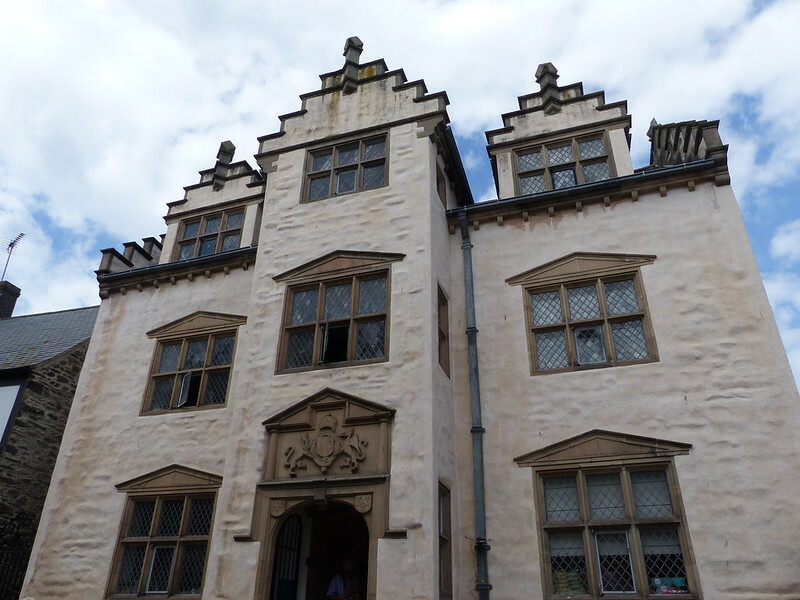 It measures just 72 inches wide by 122 high and was once home to a 6ft3 fisherman! 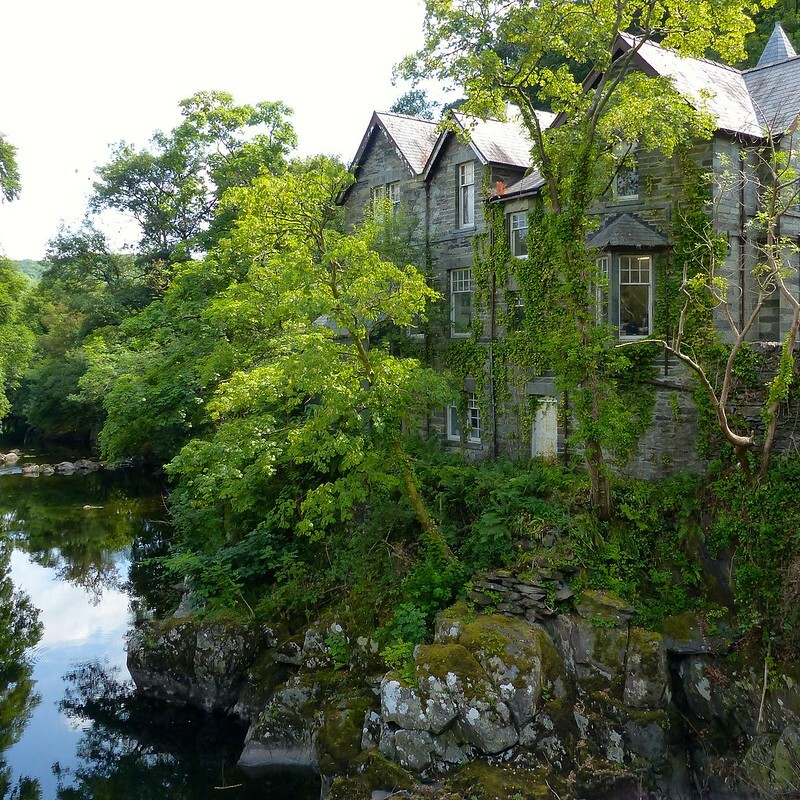 Betws-y-Coed is known as the gateway to Snowdonia and has more outdoor shops catering to walkers than I've ever seen in a tiny town before and plenty of trails heading to waterfalls and forests making it the perfect spot for adventurous travellers. 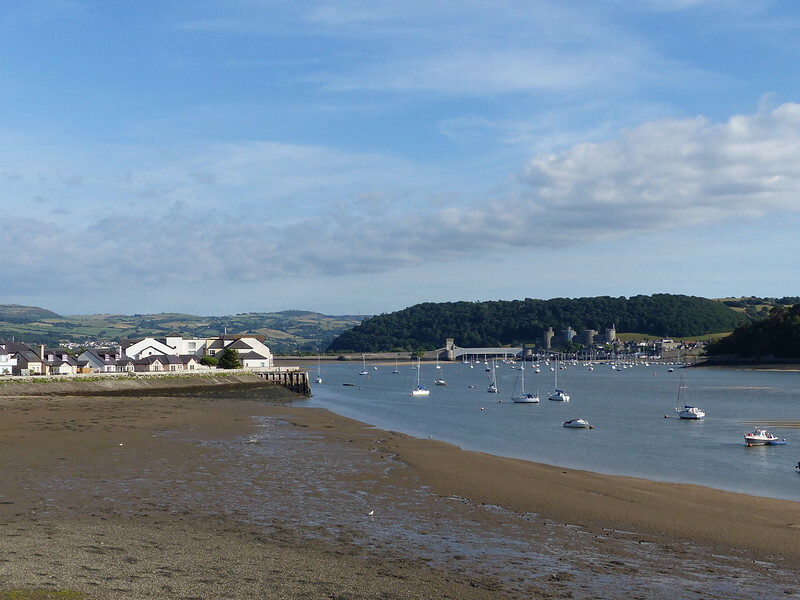 Martyn and I headed to the town to see the lovely scenery but also because it has a lovely railway station and links to the Conwy Valley Railway line which I've wanted to explore for a long time. From our departure at Betws-y-Coed to our arrival at Llandudno we were treated views of the castle at Conwy and dramatic landscapes. 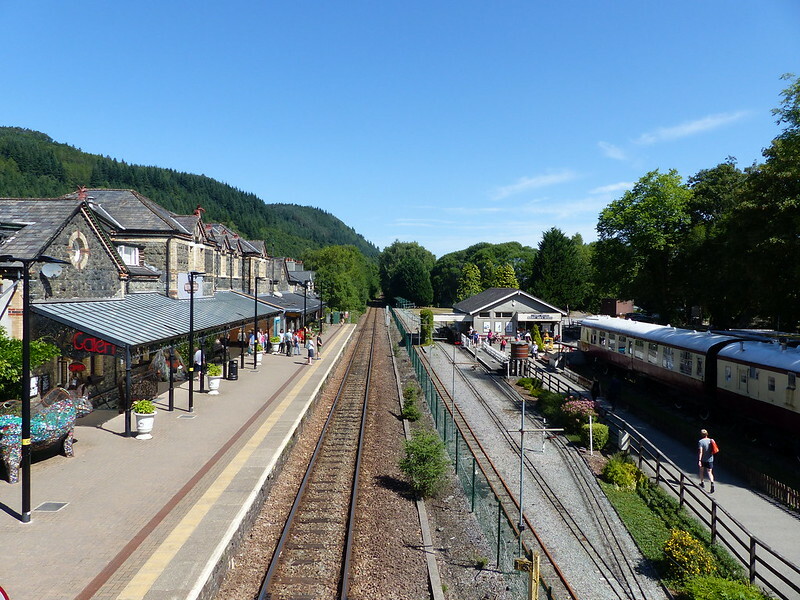 The 27 mile long Conwy Valley line offers one of the most beautiful rail experiences in Britain, well worth a visit. The station building and street was home to some great cafes and restaurants. We stopped off at Hangin' Pizzeria as we were ravenous after a day of exploring and to escape the heatwave going on outside. They have a great selection of pizzas with vegan and gluten free options too. A percentage of proceeds go to animal conservation charities so you get to eat pizza and do a good deed. 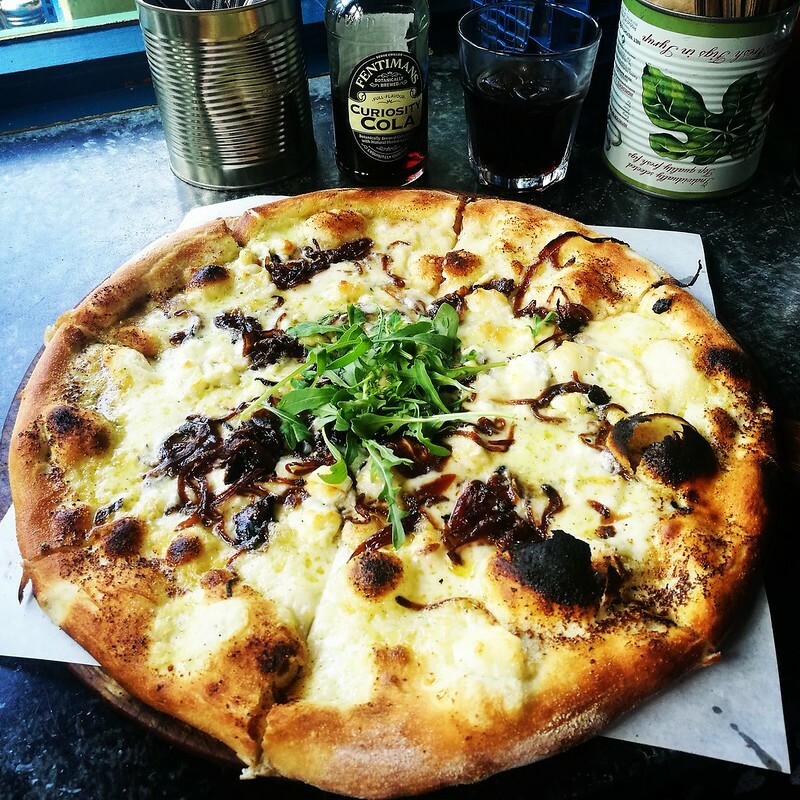 I opted for a garlic butter, goats cheese and caramelised onion pizza which was thin and crispy which is just how I like it and it was enormous. Great spot for lunch! Bangor was a surprise stop on our trip but I'm so glad we made time to briefly pass through. 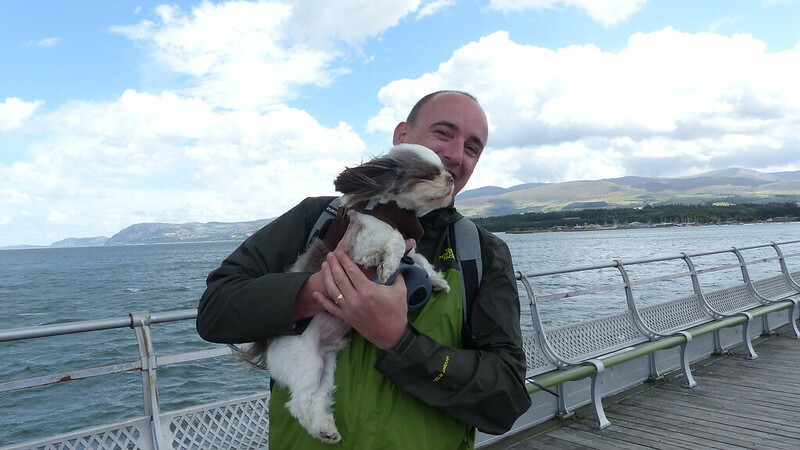 We had hoped to visit Bodnant Gardens but they do not allow dogs in so we had to think on our feet and visited Garth pier. 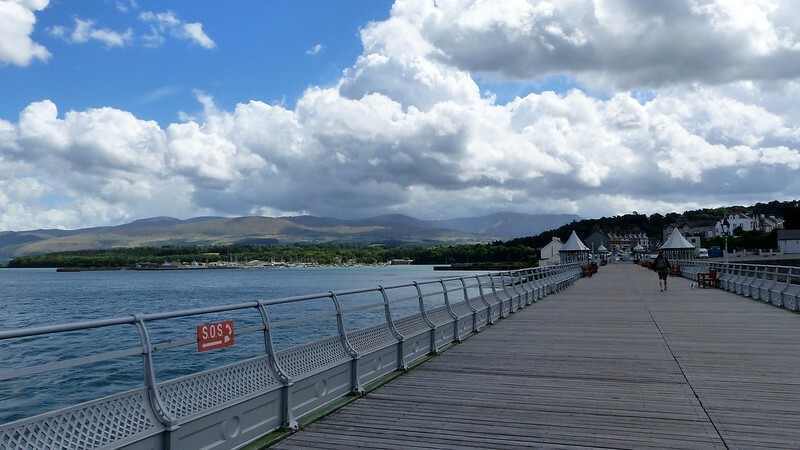 The pier in Bangor is Grade-II listed and equally as lovely as the more famous pier in Llandudno. It is very charming and not filled with shops and stalls selling tat. 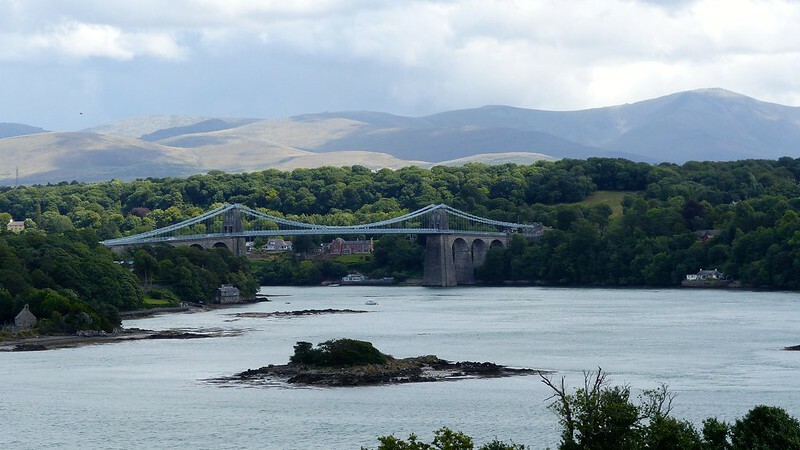 It's perfect for promenading along like the Victorians did and taking in the views of the Menai Straights and Suspension Bridge. 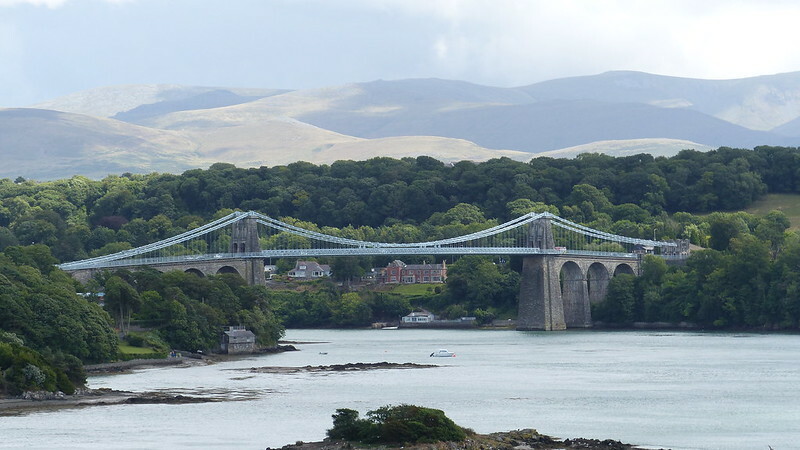 The Menai Suspension Bridge was opened in 1826 and is a marvel of engineering. Thomas Telford's' creation helped to link Anglesy to the mainland as previously the only way to travel between the two was to walk at low tide of get a ferry boat. 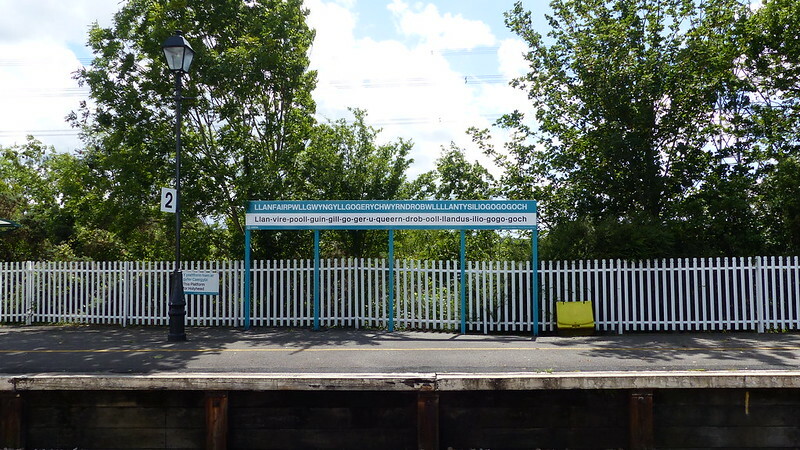 There isn't a lot to see at Llanfair PG station but I had to make a quick pit stop at the station with the longest name - Llanfairpwllgwyngyllgogerychwyrndrobwllllantysiliogogogoch. In English it means 'Saint Mary's Church in the hollow of white hazel near a rapid whirlpool and the Church of Saint Tysilio near the red cave. The name is spelt out phonetically underneath so you can try pronouncing it when you visit. 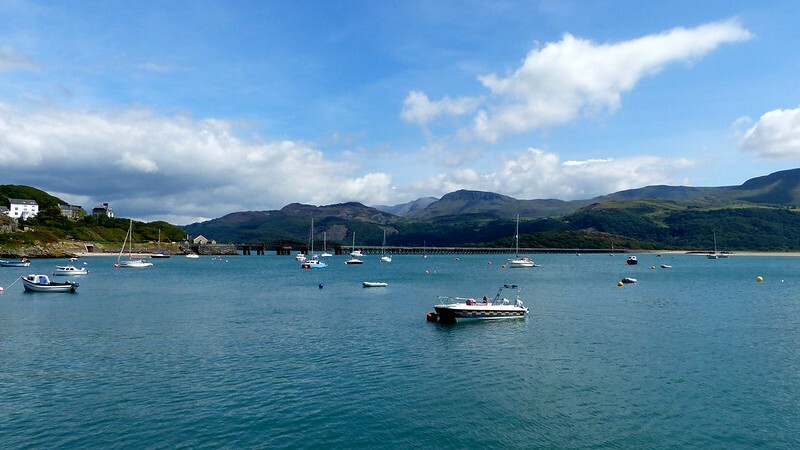 If these photos haven't persuaded you to book a last-minute weekend break to Wales then next weeks post featuring Barmouth and more of Anglesey certainly will. It get's even more beautiful and remote on the Llyn Peninsula! Can't wait to share the next instalment with you. You can read all of my posts about Wales here.